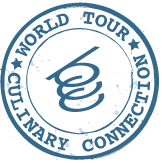 Les than two months ago, we presented the World Tour Culinary Connection initiative in Madrid, directed at spreading the values of innovative cuisine around the world. Although this initiative is headed by the Basque Culinary Center, it also includes a select representation of the best innovative cuisine in Spain. A project to promote innovative cuisine, yet also to connect up with like-minded chefs from across the world, creating an international network. We've already visited two major cities, both of which are fast becoming culinary destinations for travellers from all over the world, namely Sao Paulo and Singapore. In both cities, we got the opportunity to visit the most innovative restaurants, to chat with more than 20 chefs who are seeking to develop trailblazing projects, to give Workshops on contemporary cuisine, etc. On each trip, we were accompanied by chefs who are focussed on some highly different projects: Elena Arzak, Rodrigo De la Calle, Diego Guerrero and Paco Pérez. They are all part of the Spanish culinary elite and offer a wide variety of proposals. Yet they all share a common passion and are fully committed to their profession. Pure authenticity. The first two destinations to be visited in this World Tour Culinary Connection initiative, Sao Paulo and Singapore, both have something in common, being countries with a strong economic growth. Yet, in culinary terms, they couldn't be more different. South America vis-à-vis South East Asia. Brazil, a country with an impressive product biodiversity, with trend-setting chefs whose cuisine is based on this tremendous range of products available. Compared to Singapore, where the culinary cultures of the immigrant peoples making up this country have brought a great diversity of traditions. Yet where all the products need to be imported, a country which practically has no agro-food production of its own. However, in both places we've found chefs with a passion for food, showing commitment and authenticity, seeking self-fulfilment in their cuisine by exploring their culture, their traditions, whilst endeavouring to offer diners a unique experience. And all this leads us to consider how the influence of Spanish avant-garde cuisine not only involves the use of the very latest culinary techniques but has a much deeper influence; an influence of concepts, of motivation, of exploring new ways.